If Barack Obama had not won in Iowa, most commentators believe that he would not have been able to go on to capture the Democratic nomination for president. Why Iowa? offers the definitive account of those early weeks of the campaign season: from how the Iowa caucuses work and what motivates the candidates’ campaigns, to participation and turnout, as well as the lingering effects that the campaigning had on Iowa voters. Demonstrating how “what happens in Iowa” truly reverberates throughout the country, five-time Iowa precinct caucus chair David P. Redlawsk and his coauthors take us on an inside tour of one of the most media-saturated and speculated-about campaign events in American politics. 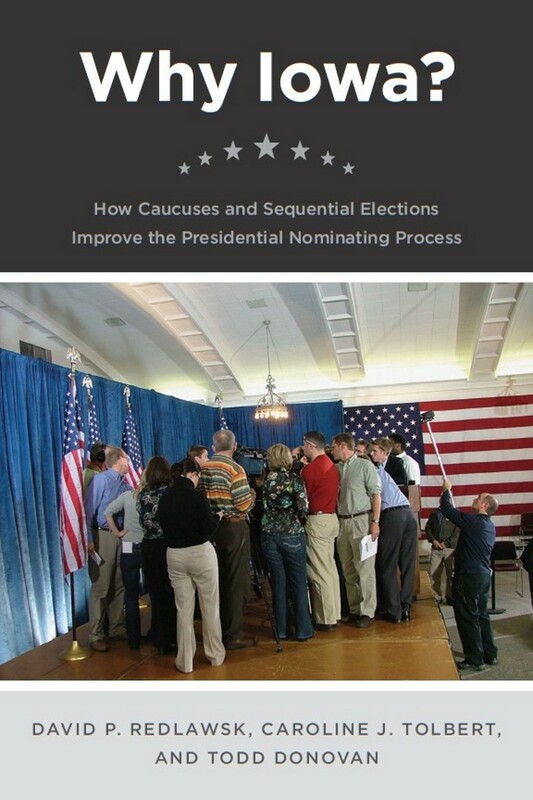 Considering whether a sequential primary system, in which early, smaller states such as Iowa and New Hampshire have such a tremendous impact is fair or beneficial to the country as a whole, the authors here demonstrate that not only is the impact warranted, but it also reveals a great deal about informational elements of the campaigns. Contrary to conventional wisdom, this sequential system does confer huge benefits on the nominating process while Iowa’s particularly well-designed caucus system—extensively explored here for the first time—brings candidates’ arguments, strengths, and weaknesses into the open and under the media’s lens. Grassroots or Mass Media Politics?